When most people think of investing, they think of the stock exchange. They imagine stressed-out brokers shouting across the exchange floor, making last-minute deals. They imagine huge risk, and enormous losses. Well, that certainly does happen. But it’s just a small part of your potential investment options. 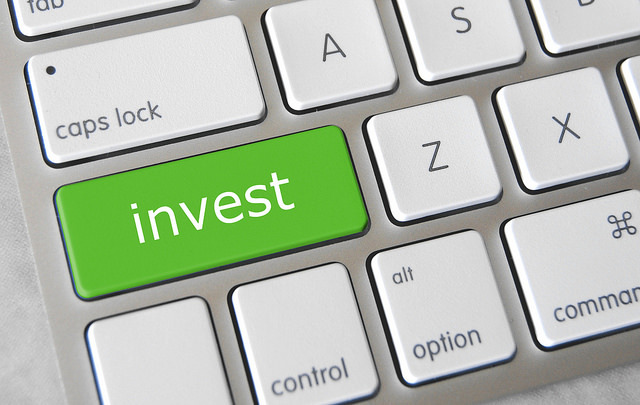 Investing doesn’t have to be risky or stressful. In fact, we strongly advise against any such investments! Instead, focus on a sensible, low-risk, long-return investment portfolio. Today, we’ll show you what that means. Here are your options. Investing in stocks and shares needn’t involve the madness you see on the stock exchange floor. Playing the stock market in this way is the fastest way to an early heart attack! The most successful stock market investors play a long, slow game. They invest in strong, stable companies that make good profits year on year. By putting your money in a variety of strong, diverse companies, you’ll slowly earn some fantastic dividends. It’s a great way to build a retirement pot, or build the kids’ college fund. The forex markets are entirely based around currency exchange. Think about when you go on holiday. You have to change your native currency for the local option, and there is always an exchange rate. That exchange rate fluctuates on a daily basis, depending on how the country’s economy is functioning. Smart investors can take advantage of these fluctuations by exchanging their money at just the right time. Using ‘leverage’, you can amplify the figures to make big, big gains. Gold is the smart financier’s anchor investment. Gold is just about the most stable investment you’ll ever make. It won’t make you a millionaire, but you won’t lose anything either. Gold prices stay strong even during financial disasters and world events. Not even 9/11 could shake the price of gold. That’s why investors flock to it as their safety net. We always advise setting up a gold IRA (individual retirement account). It’s a more secure way of holding your money. Of course, you could step out of the Wall Street bubble entirely. The real estate market is an entirely different form of investment. It has its own fluctuations, and it is relatively unaffected by market factors on Wall Street. That’s what makes it a great addition to your portfolio. Remember, you want to spread your risk in a variety of markets and industries. Property is another fantastic long-term investment. The property market always rises over time. If you’re prepared to ride out the bumps, you’ll see a huge return after ten or twenty years. Here’s an investment you don’t see too often. Invest in yourself! If you’ve got a bright idea for a business opportunity, give yourself the money to see it through. If you’re looking for true financial freedom, starting a business is the only way to make it happen. Invest in yourself, and see how far you can take your business concepts. That’s all for today, folks. Thanks for reading, and be sure to stop by for more financial and investment tips.